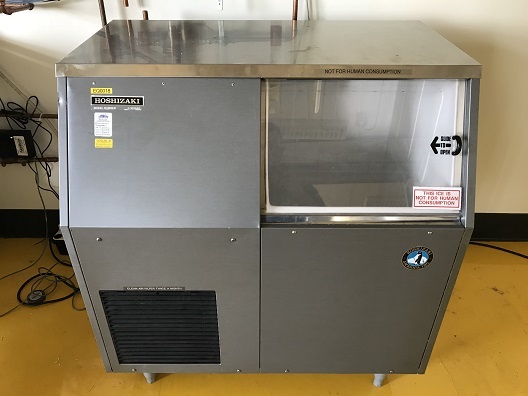 The F-300BAF is capable of producing approximately 303 lbs of flaked ice per day. Flaked ice is perfect for salad bars, seafood counters, and other food displays that require long lasting sanitary ice. 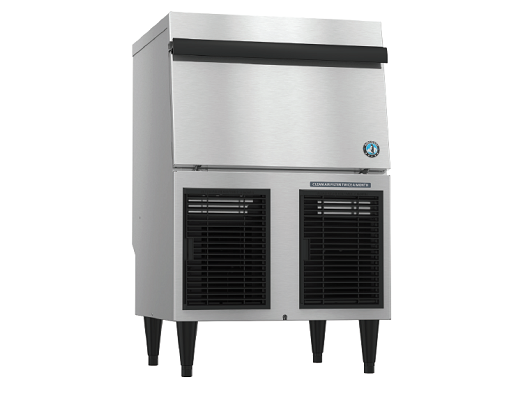 This Air-cooled, Self Contained, Built in Storage Bin ice maker stores up to 100 lbs of ice. It features an Automatic system flush when bin control is activated plus a greaseless bearing auger construction making it simple to maintain. The F-300BAF requires a Single phase, 115v/60/1 electrical connection. Ice maker with built in storage. ENERGY STAR qualified. Please consult the Specification Sheet for additional details. The F-330BAJ-C is capable of producing about 288 lbs of cubelet ice per day. This air-cooled, self contained, built in storage bin ice maker also features the Advanced CleanCycle24. It is also equipped with a greaseless bearing auger construction making it easy to maintain.